What is the mindset of a Trader? It’s NOT that winning traders do better market analysisInvesting: A Beginner's GuideCFI's Investing for Beginners guide will teach you the basics of investing and how to get started. Learn about different strategies and techniques for trading, and about the different financial markets that you can invest in. What separates a winning trader from a losing trader is their psychological mindset. Most traders when they first begin trading mistakenly believe that all they need to do is find a great trading strategy.Technical Analysis - A Beginner's GuideTechnical analysis is a form of investment valuation that analyses past prices to predict future price action. Technical analysts believe that the collective actions of all the participants in the market accurately reflect all relevant information, and therefore, continually assign a fair market value to securities. After that, all they’ll need to do is come to the trading market each day, plug in their great trading strategy, and the market will just immediately start pumping money into their account. Unfortunately, as any of us who have ever traded have learned, it’s not that easy. There are plenty of traders who use intelligent, well-designed trading strategies and systems who still regularly lose money rather than make money. The few traders who do consistently win the game of trading are those who have developed the appropriate psychological mindset that enables them to be consistent winners. There are certain beliefs, attitudes, and psychological characteristics that are essential to conquering the world of trading. Attitudes and beliefs about the market include things such as believing that the market is rigged against you. Such negative – and erroneous – beliefs can have a significant impact on your ability to trade successfully. If you’re looking at the market as being out to get you, then you’re not looking at it properly, in accord with reality, and therefore you can’t hope to be able to objectively evaluate market opportunities. The market is completely neutral – it doesn’t care whether you make money or lose money. Our beliefs about ourselves are critical elements of trading psychology. One personal characteristic that almost all winning traders share is that of self-confidence. 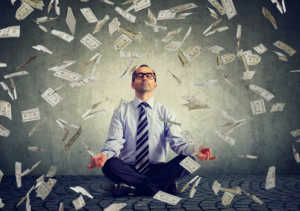 Winning traders possess a firm, basic belief in their ability to BE winning traders – a belief that is not seriously shaken by a few, or even several, losing trades. In contrast, many losing traders have serious, nagging self-doubt. Unfortunately, if you see yourself as a losing trader, cursed with bad luck or whatever, that belief tends to become a self-fulfilling prophecy. Traders who doubt their ability often hesitate to push the button and initiate trades, and thereby often miss good trading opportunities. They also tend to cut profits short, overly fearful that the market will turn against them at any moment. Winning traders have a healthy respect for the fact that even their best market analysis may sometimes not match up with future price movements. Nonetheless, they possess an overall confidence in their ability as traders – a confidence which enables them to easily initiate trades whenever a genuine opportunity arises. They are all comfortable with taking risks People with very low risk toleranceRisk Averse DefinitionThe risk averse definition the characteristic or trait of avoiding risk. This characteristic is usually attached to investors who prefer lower returns to, who cannot accept losing trades, are not cut out to be winning traders, since losing trades are simply part of the game of trading. Winning traders are able to emotionally accept the uncertainty that is inherent in trading. Trading is not like investing your money in a savings account with a guaranteed return. They are capable of quickly adjusting to changing market conditions They don’t fall in love with, and “marry”, their analysis of a market – If price action indicates that they need to change their view on probable future price movements, they do so without hesitating. They are disciplined in their trading and can view the market objectively, regardless of how current market action is affecting their account balance. They don’t give in to being excessively excited about winning trades or excessively despairing about losing trades Winning traders control their emotions rather than letting their emotions control them. They make the necessary effort and take the necessary steps to be self-disciplined traders who operate with strict money and risk management rules Winning traders are not reckless gamblers. They carefully calculate potential risk against potential reward before entering any trade. One of the most important psychological characteristics of winning traders is the ability to accept (1) risk and (2) the fact that you may well be wrong more often than you are right in initiating trades. Winning traders understand that trade management is actually a more important skill than market analysis. What determines profits and losses is often not so much a matter of how or when you enter a trade, but much more a matter of how you manage a trade once you’re in it. Winning traders know the difference between a “bad trade” and a trade that loses money. This is a critical point to understand. Just because you end up losing money on a trade, that doesn’t mean it was a bad trade – it just means that it was a losing trade. What makes a trade a good trade is not whether it wins or loses – a trade is a good one as long as it offers greater potential reward than risk, and the odds or probabilities of it being successful are in your favor, regardless of how it turns out. If you take a trade for good reasons and manage the trade well once you’re in it, then it’s a good trade, even if you end up getting stopped out for a loss. (Conversely, even if a trade happens to make money, if it wasn’t initiated for good reasons and with a favorable risk/reward ratio, then it’s a bad trade even though it may have happened to turn out profitably). Winning traders operate on the premise that if they continue to make “good trades” as defined above, that they will ultimately be profitable overall. Losing traders incorrectly identify any trade that loses money as a “bad trade” and any trade that makes money as a “good trade,” regardless of whether there was a reasonable basis for making the trade – and that leads to bad, losing trading in the long run. Evaluating trades solely on the basis of whether they happen to win or lose is doing nothing more than looking at random rewards similar to playing a slot machine. One reason that losing is so common among traders is that many attitudes and principles that serve us well in life do not work well at all in the profession of trading. Unaware of this fact, most traders lack a basic understanding of what trading is all about. In our ordinary, daily lives, we are taught to avoid risky situations. But trading is all about taking risks. Trading is an inherently risk-filled endeavor. Winning traders who genuinely accept the risk of trading have the ability to enter a trading opportunity without hesitation and to just as easily close a trade when it isn’t working. They are not burdened with the emotional pain that causes them to lose their focus or self-confidence as a result of a trade not working out. Traders who have not learned this attitude toward trading are driven by emotional reactions to winning or losing trades and have not truly accepted the fact that trading is a risk-filled business. Because they are not acting in harmony with reality, they do not make the best possible trading decisions. Engaging in trading – and being successful at it – puts a huge demand on us, namely the demand that we maintain confidence while dealing with the continual uncertainty of trading in the markets. In the profession of trading, facing the truth about what we’re engaged in is one of the key elements to success. Winning traders regularly review and evaluate their trading performance. They understand that trading is a skill that is only mastered through rigorous practice over time. Winning traders are flexible. They aren’t ego-invested in their trades. They are able to always view the market objectively and easily cast aside trade ideas that aren’t working. Winning traders do not hesitate to risk money when they see a genuine profit opportunity based on their market analysis and trading strategy. However, they do not risk money recklessly. Always aware of the possibility of being wrong, they practice strict risk management by putting small limits on their losses. Winning traders are aware of, and accept, the fact that the market is ultimately unpredictable, that there is no surefire market analysis technique or strategy that will infallibly predict price movements. Because they are keenly aware of this fact, they carefully watch for signs that their analysis is mistaken, and if they see such signs, they quickly adjust their trading position. In contrast, losing traders, once they have put a trade on, tend to only look for market action that confirms that they are right, and minimize or rationalize away any market action that seems to contradict their analysis. Thus, they often end up staying in losing trades too long and taking unnecessarily large losses. Trading is basically without boundaries, the markets a completely free environment. You are free to buy or sell, enter or exit, at any point in time. There are basically no rules that require you to either open or close a trade at any given price or time. Despite the fact that one of the primary attractions of trading is the complete freedom to make our own decisions – to basically do whatever we want, whenever we want – the only way to consistently succeed in trading is to self-impose a set of rules to govern our trading and to practice strict discipline in following those rules. What’s the problem? The problem is that we all instinctively love having the freedom to do whatever we want and hate having any rules and restrictions placed on us, even those of our own creation. Self-discipline is critical to winning trading. Unfortunately, self-discipline is typically the hardest discipline to come by. Most of us do a better job of abiding by the rules imposed on us from outside ourselves, e.g., a “No Parking” sign, than we do of abiding by the rules we create for ourselves. Our attitude tends to be one more of, “Well, I made the rule, so I’m free to break it”. While that’s technically true, it’s not an attitude that will serve you well in trading. Losing traders mistakenly believe that mastering the market itself is the key to winning. They fail to face the reality that the market can’t be mastered. You can’t control the market. What you can control is yourself, what you do in relation to the market’s actions. Winning traders realize this fact and put greater effort into mastering themselves and their trading actions than they put into trying to master market analysis. It’s not that market analysis isn’t useful. It’s just that the amount of available information available to consider, as well as the number of different technical or fundamental indicators, is virtually endless. Plus, what’s significant at one point in time may be utterly insignificant at another point in time. It’s just all too much information to sort out and ultimately impossible to deal with perfectly. A trader’s time is better spent on mastering themselves and their trading skills. If you want to learn more about what it takes to be a master trader, check out http://www.turtletrader.com/rules/ to learn about Turtle Trading rules and philosophy. Trading is a difficult game to master. Very few people become highly successful at it. However, it is possible for virtually anyone to become a master trader as long as they are willing to make the necessary effort. Attaining the proper psychological mindset for winning trading requires rigorous self-examination and self-discipline. You have to learn to cultivate good trading habits because they aren’t things that come naturally to most people. 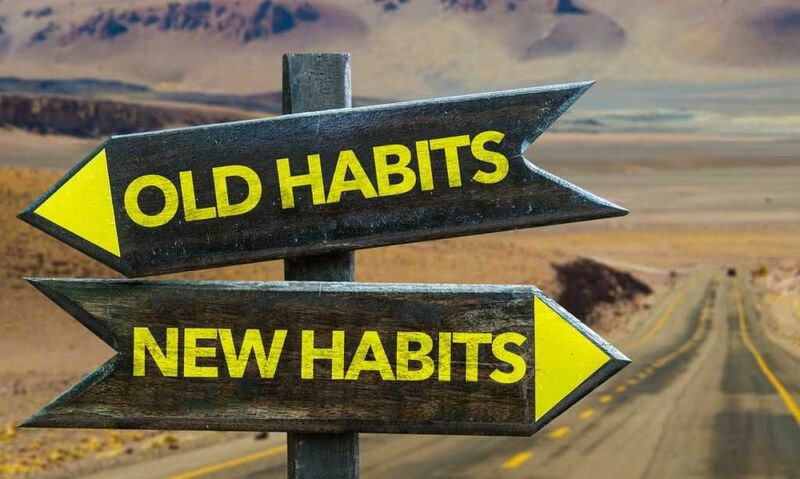 Making the necessary changes in yourself that will enable you to become a consistently profitable trader will more than likely affect how well you deal with life overall, not just how well you deal with trading. Bottom line: Make the commitment to becoming a winning trader and that will enable you to become a winning trader. You can do it – but it’s up to you, not the market, to put money in your pocket.